Detroit police officer Joseph Weekley remains unscathed after a second attempt to prosecute him ended in a mistrial on Oct. 10. 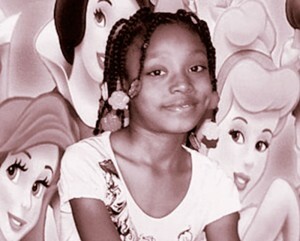 Weekley killed 7-year-old Aiyana Stanley Jones during a raid at the wrong residence in a two-family house on Detroit’s eastside during the early morning hours of May 16, 2010. Weekley was charged with involuntary manslaughter and reckless discharge of a firearm in 2011. A trial took place in 2013 but ended in a deadlock among jury members. The more serious charge of manslaughter was dismissed by Wayne County Circuit Court Judge Cynthia Hathaway during the second trial. She declared there was not enough evidence to continue prosecuting Weekley for this charge. The firearms charge is a misdemeanor. Weekley and other police officers were accompanied by a cable television crew filming for a program on homicide investigations. A flash grenade was thrown through the first-floor window where Aiyana and her grandmother Mertilla Jones were sleeping. Aiyana was hit by the grenade and burned, and then, seconds later, shot in the head by Weekley, using a MP5 submachine gun. The officer claimed that Mertilla Jones had grabbed his gun, causing it to go off and strike the child. Jones, the grandmother, denied Weekley’s story and told him so directly on the stand during the second trial. Immediately, Weekley’s defense lawyer filed a motion for a mistrial. Jones was later admonished by Judge Hathaway for what she described as an “outburst” on the witness stand. Efforts were made by the corporate media to put Mertilla Jones on trial. Many in the community believe this played a role in precipitating the dismissal of the more serious felony charge. Wayne County prosecutors, having failed twice to win a conviction against Weekley, did not immediately say whether they would seek another trial. Dominika Jones, Aiyana’s mother, spoke out after the trial, saying that it has not been possible to win justice in the case. The two failed attempts to prosecute Weekley do not mean that he cannot be charged with federal civil rights violations against Aiyana Jones and her family. Police knew there were children in the home due to surveillance the day before the raid. That the raid was carried out in the wrong apartment points to negligence on the part of the police. The killing of Aiyana Jones represented the apex of a series of police killings of civilians in Detroit during the 1990s through the current period. The city was placed under two federal consent decrees in 2003 after a three-year Department of Justice investigation determined that gross violations of civil rights had occurred in the use of deadly force and that deplorable conditions were prevalent in the precinct lockups. Despite the federal investigation and pledges by the city of Detroit to honor the commitments made to the DOJ, the police killings of civilians continued. During the city’s current period of emergency management and forced bankruptcy, the occupation forces of the state have discharged the two federal consent decrees, claiming Detroit police and the city to be in compliance with the 2003 consent decree goals. Nonetheless, Aiyana Jones was killed during the period of the federal monitoring imposed by the DOJ investigation. The degree to which any actual improvements were made in police-community relations remains subject to public opinion. The DOJ must prove to the people within the African-American communities in Ferguson, Mo. ; St. Louis; New York; Detroit; and around the country that it is concerned about the lives of the people. As in Ferguson, where police officer Darren Wilson remains free in the shooting death of Michael Brown, the circumstances of these incidents strongly suggest they are not accidental or coincidental.